Trevor Carey of Denver Late Night on KLZ 560 am in Denver Colorado welcome 9-11 Whistleblower Kevin Ryan and Shari Bernson, Membership Director/Executive Producer at Colorado Public Television to talk about the December 4th airing of Loose Change; An American Coup. 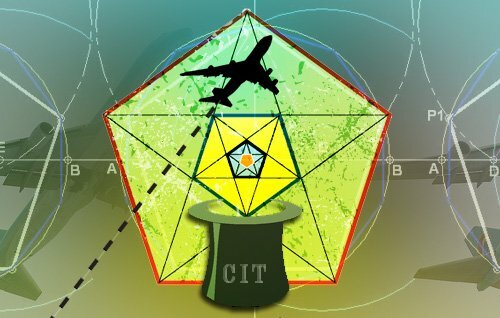 With the departure of the Bush Administration and the arrival of an “era of transparency,” opportunities are arising for the disclosure of new information that may shed more light on the events that took place before and after 9/11/2001. This film takes viewers on a turbulent journey through several pivotal moments in history before delving into the most significant catastrophe in recent memory, 9/11. Loaded with powerful, new footage and in-depth interviews with the likes of Steven Earl Jones, an American physicist who has discovered undetonated explosive material in multiple samples of dust from the World Trade Center collapses, this documentary presents a wide array of evidence. The American people continue to live in the aftermath of 9/11 and deal with its ongoing repercussions. Is this just another machination of power on the timeline of history? If so, the real question is what happens next? Or better yet, what can we do to prevent another 9/11? LOOSE CHANGE 9/11 serves as a fundamental call to action which is fueled by hope that those affected by 9/11 will soon receive the answers that they have sought after for nearly a decade. George Flynn and Words of Freedom welcome 9-11 Whistleblower Kevin Ryan and Shari Bernson, Membership Director/Executive Producer at Colorado Public Television to talk about the December 4th airing of Loose Change; An American Coup. Please distribute this mp3 freely to those who can use it. This episode of Words of Freedom welcomes to the program Shari Bernson, Membership Director and Executive Producer at KBDI-TV, Channel 12 in Denver Colorado. 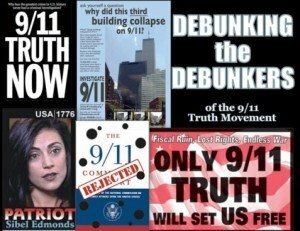 KBDI has taken bold steps in recent months with historic airings of 9-11 Press for Truth on June 3 as well as the August 15th, 2009 airing of 9-11 Blueprint for Truth. These fund raisers for the Denver PBS television station included a screening of these excellent documentaries along with in studio interviews with Kyle Hence, Ray Nowosielski, 9-11 family member Bob McIlvaine, and Richard Gage, AIA with members of Colorado 9-11 Visibility who were on hand answering phones. Shari is a nationally recognized producer with over 20 years-combined experience in the television, entertainment and media. She has been a leader in her field and has raised over $17 million dollars for public television. Shari is also an on-air talent for KBDI and serves as the main host during these historic airings. This interview contains excerpts from a longer interview and was broadcast on KRFC 88.9 FM in Fort Collins Colorado on August 3rd and again on August 17th, 2009. We think this program provides a valuable tool for 9-11 activists to take to the PBS stations in their area to better demonstrate the positive experiences of KBDI after making the decision to air programming with September 11th content. 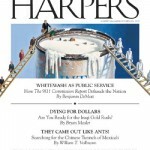 This interview features a behind the scenes look at some of the decision making processes which went into selecting these documentaries for airing, how 9-11 Press for Truth was received by the public, the role of the local 9-11 group, and the groundswell of support from the Colorado community and indeed from around the world. This episode of Visibility 9-11 welcomes to the program Shari Bernson, Membership Director and Executive Producer at KBDI-TV, Channel 12 in Denver Colorado. 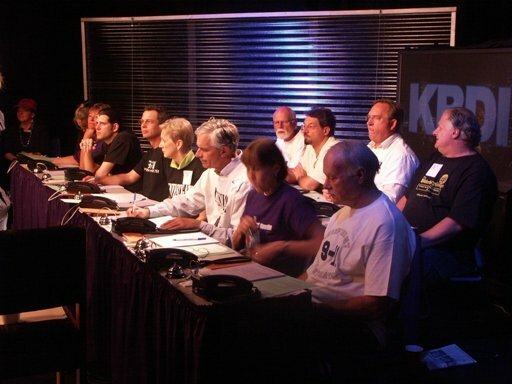 KBDI has taken bold steps in recent months with an historic airing of 9-11 Press for Truth on June 3, 2009. This 3 hour fund raiser for the Denver PBS station included a screening of this excellent documentary along with in studio interviews with Producer Kyle Hence, Director Ray Nowosielski, 9-11 family member Bob McIlvaine, and members of Colorado 9-11 Visibility who were on hand answering phones. Shari Bernson is a nationally recognized producer with over 20 years-combined experience in the television, entertainment and media. She has been a leader in her field and has raised over $17 million dollars for public television. Shari is also an on-air talent for KBDI and was one of the hostesses during the June 3rd, 2009 airing of 9-11 Press for Truth. This interview provides a behind the scenes look at some of the decision making processes which went into selecting this documentary for airing, how it was received by the public, the role of the local 9-11 group, and the groundswell of support from the Colorado community and indeed from around the world. 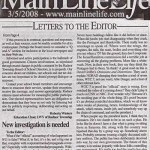 Shari also discusses how this event and film has changed her personally and the way she now views the mainstream media in America and the events of September 11th, 2001. Most exciting of all during this interview was the announcement that KBDI will continue taking bold steps with regards to the events of September 11th with what shall prove to be yet another historic broadcast for 9-11 truth. Tentatively scheduled, KBDI will be doing another fund raiser on August 15, 2009, this time featuring the world television premier of Richard Gage’s excellent documentary 9-11 Blueprint for Truth. Additionally, KBDI will be flying Richard to Colorado for on-air interviews during this historic broadcast. A press release is due to be published soon.